I did a bit of crowdsourcing yesterday on Facebook and asked my friends for some money saving tips. I am friends with over 4,000 people and I figured that some of them would have some great ideas on how to save money. I mean, I’ve been pretty good the last few years, but that doesn’t mean I want to stop learning about new apps, ideas, and tricks. This isn’t my forte. Truth be told, if this post was about how to SPEND money, I would be the ultimate expert. However, for a money saving tips post, I decided to turn to my inner circle. Anyway, let’s get started with programs you can sign up for today. Some of these links are referrals which means that you get a bonus and I get a bonus if you click through and sign up. SkyMilesShopping. It’s free and you earn Delta SkyMiles. 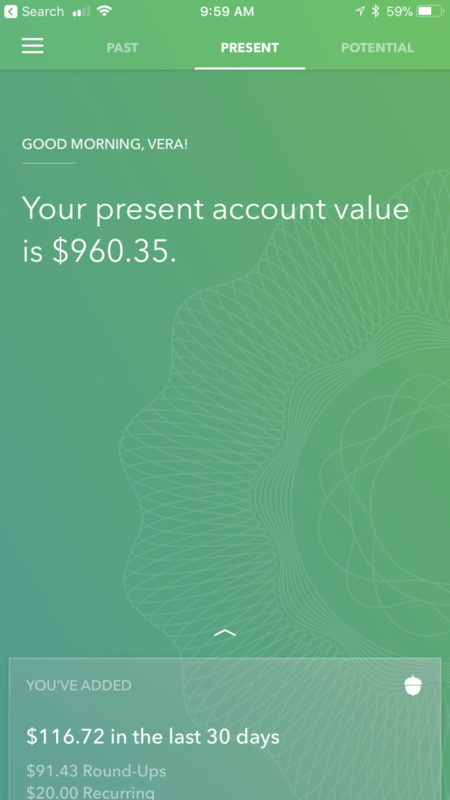 Acorns – Rounds up every purchase you make on your credit card and then invests the change. 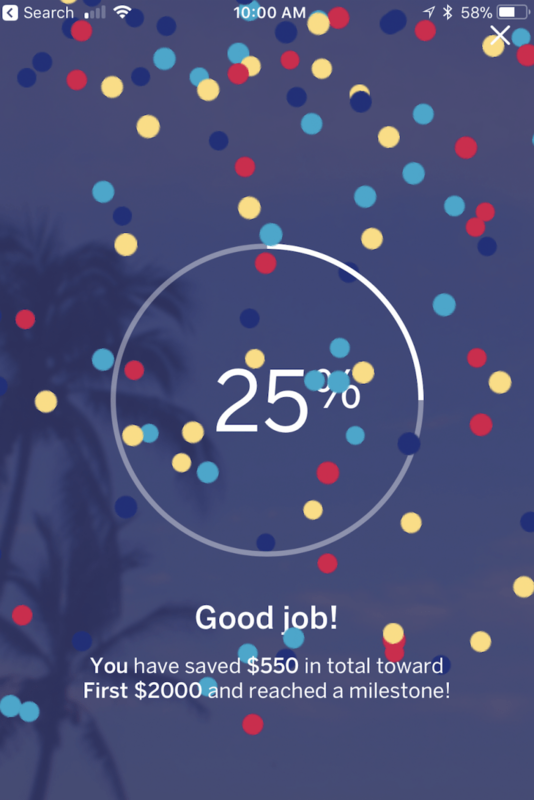 Qapital – Savings app. Automatically puts money into a savings account each week. Earny gets me money back when prices drop after I shop, use my link and get money back too! We also budget using Mint.com and that’s helped a ton. We have Way2Save with Wells Fargo. Every time our debit card is swiped, $1 goes into savings. I save time by using Google Express instead of going to Costco. I mostly use Boxed.com (Get $15 for signing up here) which is cheaper and no Costco membership required!! I have the Swagbucks toolbar for searches. Every few months I cash in for PayPal $ or Amazon $. Sign up for store emails (I earned 1 free bagel every day in November because I read the Panera email last month). Online grocery shopping. When we purchase our groceries online, we only get the things we need. No impulse purchases. Don’t forget the power of Facebook! There are lots of thrifty groups. I recycle. It sounds silly, but it saves me money on things like garbage bags. Those trash bags are expensive. I also buy paper products in bulk. Cooking at home. It makes all the difference in our budget. Shopping at Aldi and local surplus stores. I use a reusable K-cup for my Keurig. We cut the cable ( TV) three years ago. It amounts to about $1200 saved annually. Find out how to get rid of cable here. Have a credit card with cash back rewards. You can save thousands (!!!) by shopping your insurance every year: homeowners insurance and auto insurance. I can’t stress how important this is. Greave your taxes every year. Take a look at any reoccurring services and subscriptions and cancel whatever isn’t meaningful to you. Dry clean less (if you can). Clean out and donate all the things in your house that you don’t love/don’t use/ are taking up space. It will make you rethink purchases when you’re shopping. If you’re an organic family (or try to be) OurHarvest is a wonderful place to shop for meats, fish, fruits and veggies (and significantly cheaper then Whole Foods). Kids and I drink mostly water. Saves on buying juices for them. Call your cable and cell phone providers and tell them you are thinking about changing your carriers due to cost. They will always discount for you. For food: Have one night a week where you ‘clean out the fridge’ each week before grocery shopping. You’ll be shocked how much money you’re literally throwing out. Meal plan but keep it simple-only things you know everyone will eat. Having one night a week that’s easy (sandwiches, finger foods, breakfast for dinner) makes it more fun. Compost and recycle. No trash or garbage fees. Only $3.50 once a month for large trash bag I haul off to County center. Project Fi, the Google cell service saves us over $100 a month on cell/data bill. I also cook from scratch almost every night and don’t buy packaged snacks, beverages etc. Put electronics on an electrical strip that can be turned off when not being used. There are free ways to get your home inspected through Energy or your local provider for free. They gave me lights bulbs, weather stripping etc. making my home more energy efficient. We switched our cell phone service to T-Mobile and save about $100/month! Budget. Budget. Budget. Write down what we think we will spend and then what we actually spend. My husband got a budget journal as a present last year. He loves it. We cut cable & purchased our own internet modem (rather than leasing one)- that saved us $120/month. How To Save Money: Easy Money Saving Tips – Misc. This last How to Save Money section is more of a hodgepodge of money saving tips. Some of my friends only spend cash while others head to the library for their weekly reads. Again, all of these ideas are doable. We can literally start today if motivated enough. I mean… how to save money is simple. Spend less, right? That’s what this entire section is pretty much focusing on. It’s nice to see the examples though. Have you thought about consignment shopping before? It makes complete sense! Take a look and let me know if you do any of these already. I go on epic “shopping” trips to places like Target, TJ Maxx, Marshall’s, etc… enjoy myself, fill up my basket, and then leave it sitting somewhere in a back aisle and go home, hands-free. Zero-based budgeting: income minus outgoing bills equals zero.If you write our all your expenses and cover all your expenses with your income during the month and have $800 left over, you aren’t done with the budget yet. You have to designate that $800 until you get to $0. So that goes to savings or debt or fun money or vacation. I use cash, no credit. You’d be surprised how much money you save when you only spend what’s in your wallet. Kids bring lunch to school. I started to look for ways to make money as a stay at home mom. There are so many different opportunities online. You have to really weed them out, but I found that if I did enough research I had great results. I started a saving money for mom Facebook Group and got all my friends together. We decided to share what worked best for us in there and it’s been such a great tool. I use credit like cash, so the bill is paid each time it is due. I make my own hair gel. 1/2 cup whole raw flaxseed with 3 cups water, boil until it froths (it’ll look like snot, lol), strain, cool, and you can refrigerate… can be used for 2 weeks. My hair loves it, and it’s super cheap! I don’t buy magazines. No cable. Hulu and Netflix only. Have a one day waiting period for anything you don’t have on your shopping list. Always have a list! Don’t buy anything that’s not on it. Pay your savings accounts first! Set up separate accounts for different savings goals (or track it on a spreadsheet) setting aside money for things like short-term projects, big goals, vacations, etc. Sometimes shop off-season which saves money. I’m always looking for ways to make money as a stay at home mom online. And it’s a struggle. That’s why I talk to my friends whenever I can and seek out local opportunities. Those are the best bets! You can not use change when buying things and put it into a glass jar. If that’s difficult start with pennies and work up. I have a friend who starts jars on 1 January for all her coins, every night, and has between five and six hundred dollars by the next December. It’s a very easy way to save! Avoid stores that you know you LOVE. Saving money for mom starts with you! Budget. Budget. Budget. Cut fast food. Dinners become date night or family night. More meaningful and worth the money. We switched to all LED lights in the house & invested in a new fridge. I swear our old fridge was a money vampire. Use the Brita filter to refill bottles. We cut down to the paper only on Sunday. Walk to work and bring my breakfast and lunch. Listen to Dave Ramsey‘s podcasts. I deleted my Starbucks app and even when I travel I carry a water bottle to fill at the club with water and a hot cup to fill with water wherever I am and I carry my own tea bags. At hotels, we ask for an electric kettle to make tea. I stopped buying coffee at our cafeteria. It was only $1.10 it was not so much the money but I realized that I was just drinking a quarter of the coffee. And I try to bring my lunch. Lunch in NYC is like taking out small loan its nuts! If we go to dinner with friends or a group, a BYOB saves money. I’ve been making breakfast in bulk for the week and packing everyone’s lunches. I don’t have a cell phone or internet service. If you carry any debt, call your credit card companies and negotiate a point or two off your interest rates. Most banks will do this as a courtesy once a year. 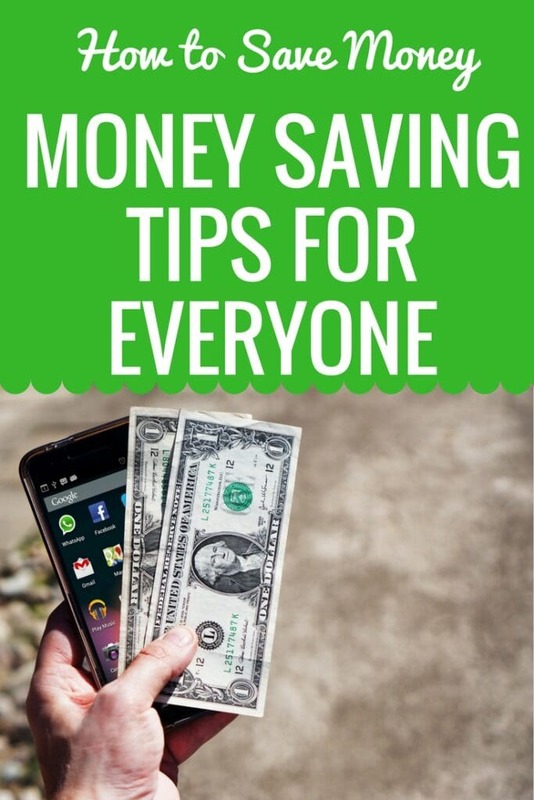 What do you think of these money saving tips? Any advice that you’d like to share? I wrote a post about the things that Bill and I specifically did this year to help us shave $3,000 off our annual expenses. Be sure to give it a read!! Of course, if you REALLY want to start saving money, you could always start extreme couponing! I did that for several years and trust me – it works! Would LOVE TO HEAR. Leave your comments below and I will be sure to update this post every so often. How to save money in 2018? Well, that’s going to be a breeze!! !